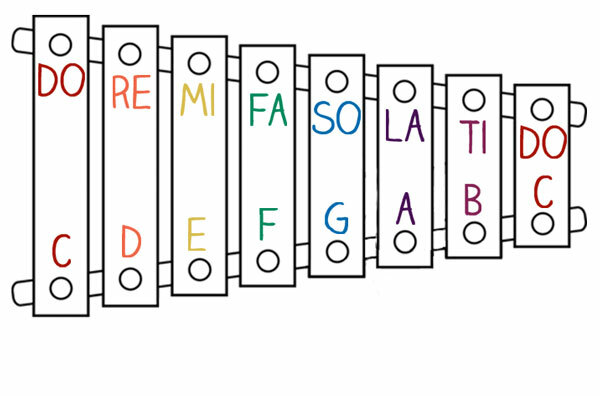 Everyone knows the Do Re Mi song from the Sound of Music and this famous song is actually really good for teaching children how to read and sing musical notes. 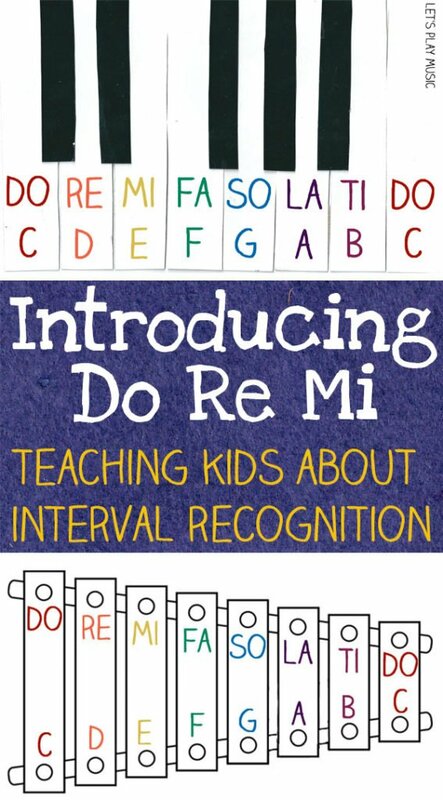 Do Re Mi or ‘Tonic Sol-fa’ is a traditional and very effective way to teach the concept of intervals and the sound of each note of the scale. It helps build an understanding of how to pitch notes and know how they should sound. 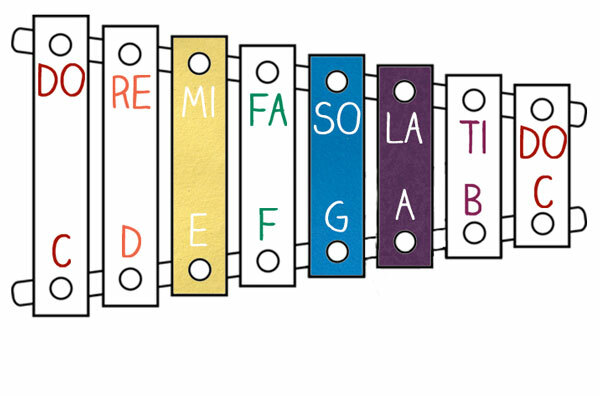 Chime bars or a xylophone are invaluable for introducing little ones to music, so it’s well worth investing in a set and they make great presents too. But it’s so easy to find lovely percussion instruments these days, eBay has lots of choice and some great deals! There are eight notes for each degree of the scale. Do is normally C, but if you are singing in a higher or lower key it depends on your starting note, so really Do is just the first note of the scale. For example D is Do for D major, F for F major and so on. 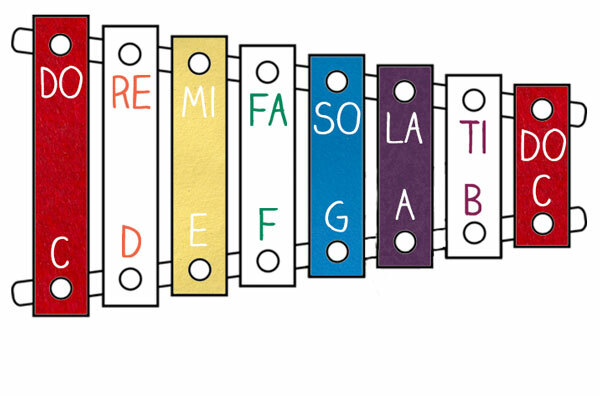 It is best to introduce the sol-fa names by learning to recognise the intervals in familiar nursery songs. 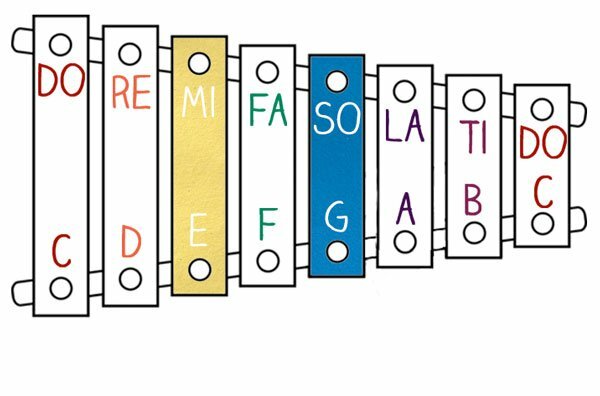 Start by teaching your little one So-Mi, which in the scale of C is G and E and sounds like “cuckoo” or “see-saw.” Most children’s xylophones or chime bar sets have the notes marked on them, so this helps to begin with. Babies start to hum these notes naturally before they even know any songs. So – Mi is the first interval that children can pitch and sing easily and most simple nursery rhymes are based upon it. When So and Mi are familiar, you can introduce La (A). This means you can add new songs to your repertoire “Ring a Ring a Roses” or “Bye Baby Bunting” (So-Mi-La-So-Mi). Next you can introduce both Dos, high Do and low Do or bottom C and top C. You can play lots of games with jumping up and down for high and low, or making puppets do the work. A very good song for teaching both Dos is The Balloon Song, which can be sung with real balloons and is always very popular! It’s important to keep practicing all your songs with the actions and the games to keep them familiar. Gradually you can add the notes in between which brings new songs, such as “Twinkle Twinkle” and “I’m a Little Teapot” into your repertoire. 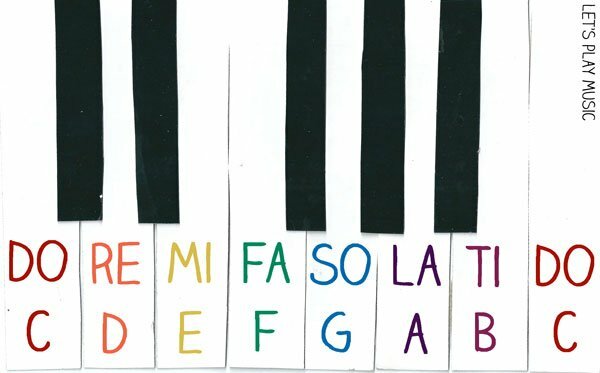 Fixed Do ( used in a lot of the European countries ) where they actually use the sol-fa note names to identify notes rather than letter names (C-D-E etc.) So this means the note names remain the same regardless of the key that is being played. Movable Do where Do is always the tonic. For example, in C major, C is do; in D major, D is do; in E-flat minor, E-flat is do, and so on. And the sol-fa syllables always stay the same when going from one key to the next regardless if there are sharps or flats. Check out the fun games below that help kids learn about the degrees of the scale. If you enjoyed this post, come and join us on Facebook or Pinterest and subscribe to our newsletter for many more musical ideas!